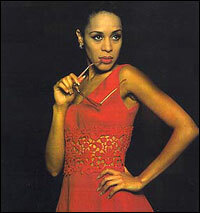 Marger Sealey played Carmen in Mexico, Venezuela, Puerto Rico, Columbia and Argentina. She believes anyone who has had the good fortune to be involved with FAME is automatically "part of a FAME musical family." She stays in touch with the North American tour performers via e-mail. Believe it or not, while awaiting her next theatrical gig, she practices dentistry in Carcass. It sure would make going to the dentist something to look forward to, if she were working on your teeth.